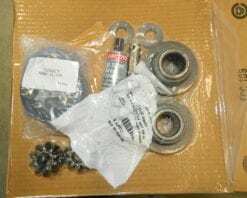 This is a genuine AAM internal kit for 2003 and newer Dodge Ram 2500 trucks with the 10.5 ring gear and open carrier. 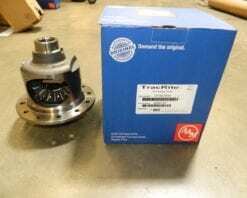 These will not work in a posi or limited slip differential. 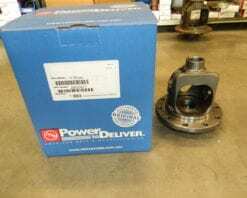 This is a genuine AAM differential carrier for the 9.25 front axle found in 2007 and newer Dodge Ram 3/4 and 1 ton trucks. This one is made for the spider gears that are concave on the outside as opposed to the flat ones found in 2003-2006. 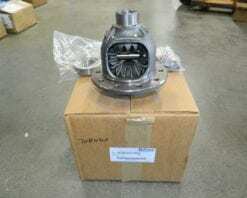 This is a genuine AAM loaded differential carrier assembly for the front of 2014 and newer Dodge Ram 2500 and 3500 series trucks with the 9.25 4X4 front axle and a 12 bolt differential cover. 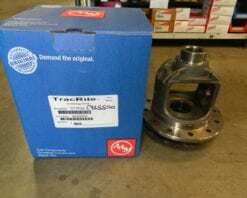 This is a genuine AAM bare open differential carrier assembly that fit the GM 7.6 or 7 5/8″ rear differential with 28 spline axles and 3:23 or numerically higher (3:42, 3:73, etc.). These were used in early 1990’s and newer S10’s and Camaro’s. 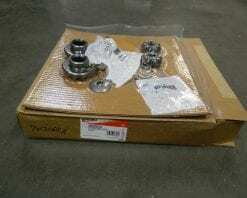 This is a genuine AAM loaded open differential carrier assembly that fit the GM 7.6 or 7 5/8″ rear differential with 28 spline axles and 3:23 or numerically higher (3:42, 3:73, etc.). These were used in early 1990’s and newer S10’s and Camaro’s. 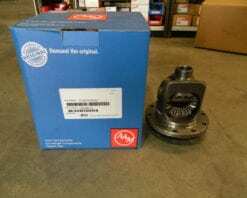 This is a genuine AAM bare differential carrier (no spider gears) that fits GM cars and trucks with 28 or 30 spline axles from 1973-1998 with 2:73 or numerically higher gear ratios. 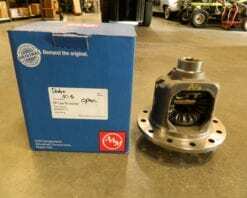 This is a genuine AAM open differental assembly for the 10.5 rear differential found in some 2003+ Dodge Ram trucks. 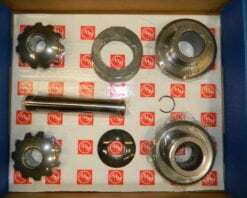 This is a genuine Dana/Spicer internal gear kit for the Dana 30 4X4 front axle in most Jeep applications. 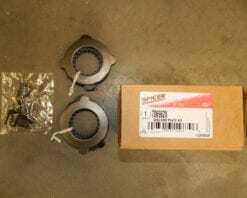 This is a genuine Mopar differential kit for the Dana 30 front axle found in 2002-2007 Jeep Liberty vehicles. 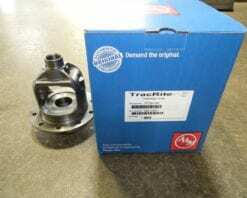 The Mopar part number is 05066529AA and the Dana/Spicer part number is 708115. 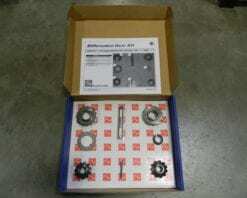 This kit includes the loaded differential carrier, differential side bearings, and ring gear bolts. 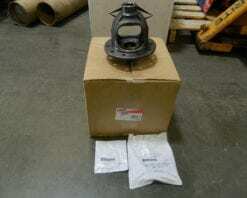 This is a genuine Dana/Spicer differential carrier for the Dana 30 front differentials found in Jeep 4X4 applications. This is for 3:73 and lower gears 4:11, 4:56, 4:88, etc. 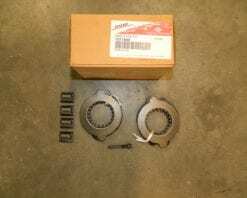 This is a genuine Dana 35 clutch pack for a Track Lok differential in a Jeep. This kit includes enough clutches to do both sides. 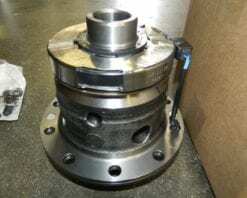 This is a genuine Dana 35 clutch pack for a Track Lok differential in a Jeep. This kit includes enough clutches to do both sides. 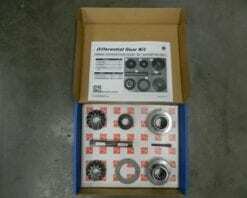 This kit will also fit the Dodge 8.25 rear differential with a Track Lok differential.